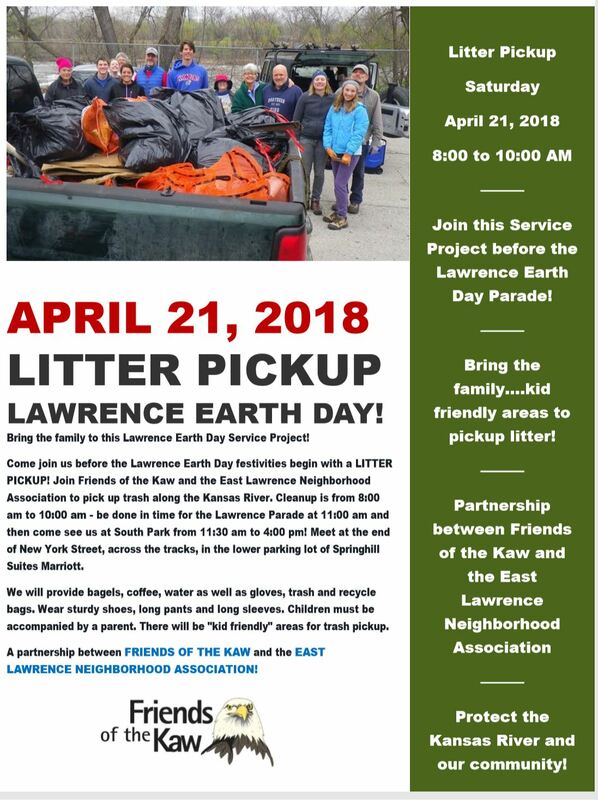 Litter Pickup – Lawrence Earth Day! 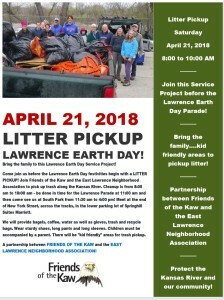 Bring the family to this Lawrence Earth Day Service Project! Come join us before the Lawrence Earth Day festivities begin with a LITTER PICKUP! 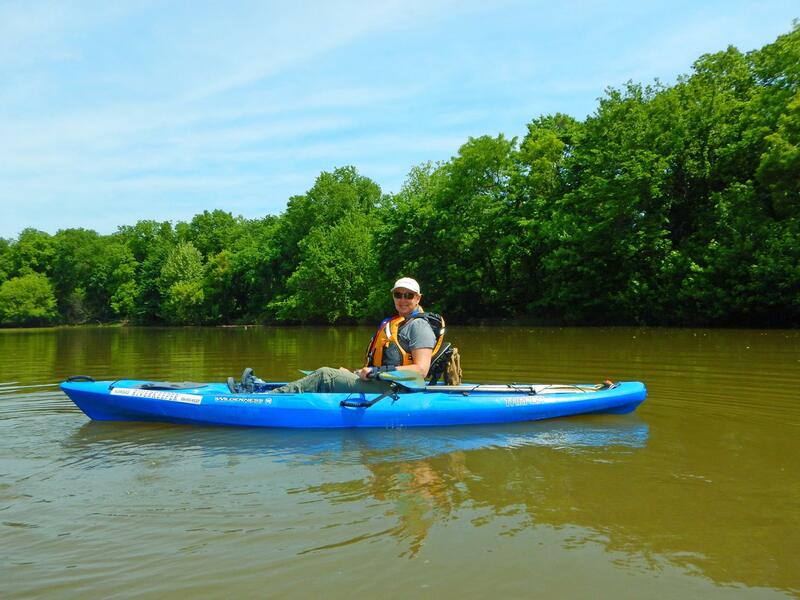 Join Friends of the Kaw and the East Lawrence Neighborhood Association to pick up trash along the Kansas River. Cleanup is from 8:00 am to 10:00 am – be done in time for the Lawrence Parade at 11:00 am and then come see us at South Park from 11:30 am to 4:00 pm! Meet at the end of New York Street, across the tracks, in the lower parking lot of Springhill Suites Marriott. We will provide bagels, coffee, water as well as gloves, trash and recycle bags. Wear sturdy shoes, long pants and long sleeves. Children must be accompanied by a parent. There will be “kid friendly” areas for trash pickup. Bring the family to the Earth Day Service Project!